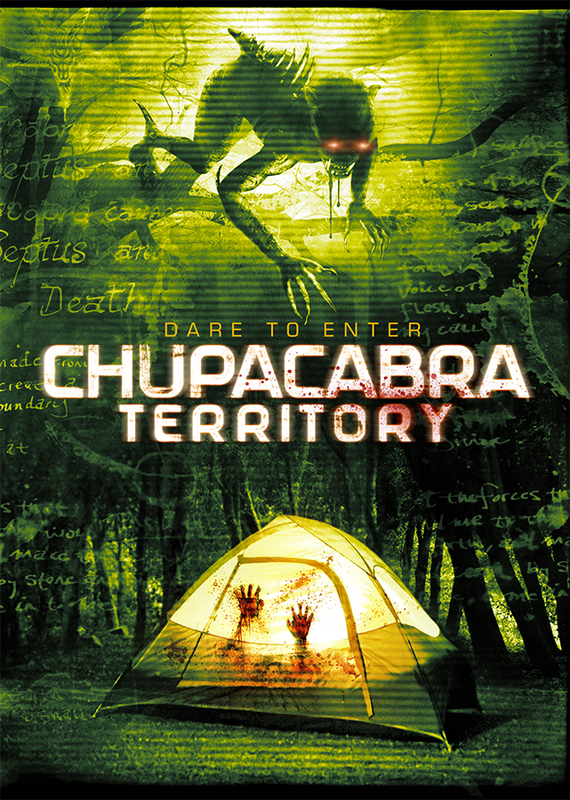 Maltauro Entertainment, in association with Baumant Entertainment and Invincible Pictures, has announced that on the 11th April 2017, 'CHUPACABRA TERRITORY' will come to Blu-ray, DVD and Digital HD. Writer-director Matt McWilliams and producer Christopher Maltauro have crafted a raw found footage film that tests the bonds of friendship and the will to survive to their breaking point. 'CHUPACABRA TERRITORY' will be available to rent or own starting 11th April 2017 on Flixfling as a 30 day exclusive. The film will then launch on iTunes, Amazon Instant Video and Cable VOD platforms. 'CHUPACABRA TERRITORY' stars genre favorite Sarah Nicklin (The Haunting of Alice D, The Sins of Dracula, Flesh for the Inferno, The Disco Exorcist), Michael Reed (Dark Feed, Exhumed), Megan Hensley (The Crazies, Fake the Joy), Julianne Tura (Bloody Bloody Bible Camp, Chastity Bites), and Pierre Kennel (Man Down, Doonby). The Blu-ray (SRP $22.95) and DVD (SRP $17.99) release of 'CHUPACABRA TERRITORY' will exclusively include interviews with the cast and crew, trailers and more.